Barbour is a byword for all things relaxed and casual with a stylish edge. Since 1894 and it's humble beginnings supplying wax jackets to fishermen, it has grown to a cool heritage brand for those that have a discerning sense of class and style. Known as designing some of the best jackets in the industry, many of the wax jackets are handed down through generations and over 100,000 are made annually every year. Barbour even has a repairs and reproofing service to extend the life of your Barbour jacket, after all many people see one of their coats as an investment. Today they are known for quilted jackets as well as wax jackets and a range of clothing that includes sweaters, corduroy and moleskin clothing. Many of their jackets have outdoor orientated features such as storm cuffs and snug fitting collars. In recent years, they have worked hard to maintain their heritage roots whilst still appealing to a younger crowd. My husband has a Barbour jacket, in the quilted fitted style which he loves, and I have to admit, I think it looks great on him. I have been thinking of buying one myself in black, in the fitted style. You can buy a range of Barbour jackets at Cockney Rebel. Cockney Rebel have been trading for over thirty years in Workshop, Nottinghamshire. This store has two floors of leading brands including Radley, Guess, Fred Perry and Superdry besides Barbour. At the moment they have a sale on too, with bargains in all departments, great when you want to pick up an investment jacket at a fabulous price. 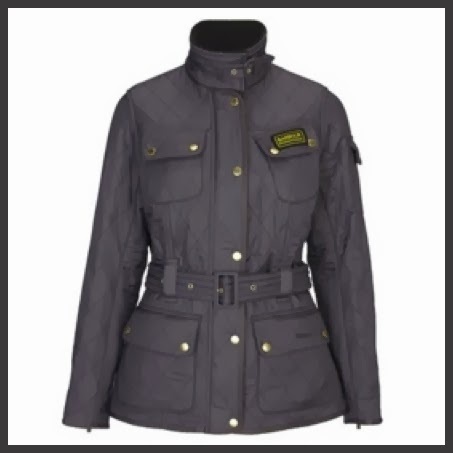 I have my eye on this ladies Barbour quilted jacket. They used to do this is red and I loved it, but unfortunately they no longer seem to do it in this colour, so navy or black it will have to be. Featuring inner fleece lining and a diamond quilt outer design you know it will keep you warm whilst still looking fashionable. Barbour fans include Ewan Mcgregor, Catherine Zeta-Jones, Alexa Chung and Lily Allen, and with three royal warrants from the Queen, the first in 1974 you know you are in good company. 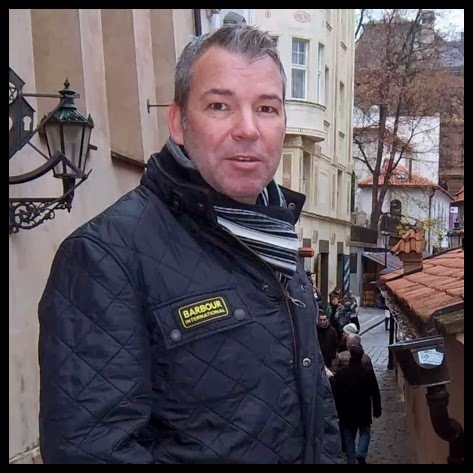 Do you have a Barbour jacket? What do you think of their clothing? What type of jacket do you like the most? I love your choice! I have always wanted a waxed jacket, I think it stems from my days as a child riding horses. Great post! Waxed jackets are great especially if you do a lot outdoors such as riding horses, walking and the like. I think that jacket looks great and your husband wears it well. Hmm I am on the lookout for gift ideas for my husband too, thank you. Good quality wax jackets last a life time. They are excellent quality Anna. I used to have one when I was a kid for horse riding, it was fab! I love the quilted designs too, they are really smart. I'm terrible, I never wear a coat!! They look great but I'd need to win the lottery first! They look both stylish and practical. It's a shame they don't do the red one anymore, I'd love a bright red coat. These look really stylish but comfy at the same time. These look lovely. I had a fake when I was younger and the texture of that kind of put me off them! I think my hubby would look dang good in one of these. Thanks for sharing it. I think they look rather smart - I'd go for the black one myself! I adore a Barbor jacket - and when I was regularly out in the country I would insist on nothing else. I even bought the traditional green Barbor for my son when he was a toddler - he looked amazing in it! Looks great. I used to love my Barbour jacket but haven't has one in about 20 years. Maybe time to think about getting one!